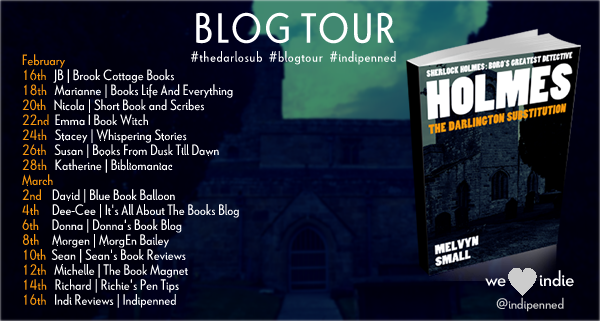 The blog tour for the Holmes: The Darlington Substitution has winged its way around some of the best book review blogs on the web and has been a resounding success. Given this was my first experience of a blog tour I didn’t really know what to expect. As it turned out it was brilliant. All the bloggers posted their reviews as planned and the reviews themselves were over whelming. I particularly like that last one… who knew? I think I'm going to start refering to myself in the third person as the critically acclaimed author. Click here if you would like to read the rest of the reviews. 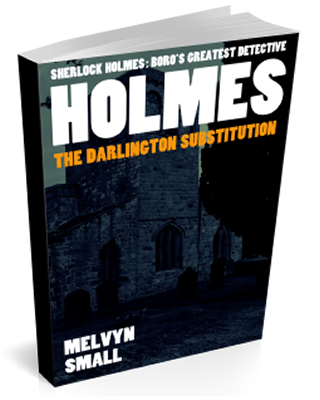 Click here if you would like to read Holmes: The Darlington Substitution.